Many years ago I invested in a codec called Cineform. It made editing on just about any PC possible. It was so well coded that it would scale to fit your CPU such that even the weaker cpus would allow one to edit even up to 4k. The codec wasn’t cheap. If I am not mistaken it hovered around $400 a seat for the mid priced option that allowed up to any spacial resolution. I even made myself a portable cineform recorder tutorial that racked up a few views on Vimeo. So the demand for a portable yet affordable Cineform HD recorder was strong then and still is now. My capture station was comprised of an HDMI Blackmagic design intensity capture card, a laptop with an expresscard slot and a Cineform license. The footage that was captured was truly jaw dropping. Not as amazing as uncompressed but it certainly preserved all the sharpness with a trade off of a smaller file size. But there were issues. Loose cables, computers crashing, BSODs, Battery power challenges, CPU challenges, ( you had to have a powerful cpu to encode.) So in time I moved on to a few more revolutionary solutions. Size and performance became the main selling points for me. The first of these products being a Convergent Design Nanoflash. But that only recorded to an 8 bit codec so I quickly outgrew that limitation. Then I moved onto the Blackmagic design Hyperdeck Shuttle. The machine just works. It is elegant, easy to manage, power and records uncompressed files to fast SSDs. But it records externally and that has it’s own challenges. Then I bought my first Blackmagic Design Pocket Cinema Camera. The first of a pair. This camera was so close but yet so far. The camera’s benefits are obvious but for the first time outside of the RED ecosystem – we had an affordable option that allowed internal RAW. The camera has many issues – moire, aliasing, poor battery life and more. But the images of internal RAW are amazing. But I work in the Vegas NLE. It cannot edit CDNG files as a video stream. So one had to transcode to a video file that the NLE understands. My weapon of choice was Cineform RAW. This required a transcode using software called RAW4PRO. But the problem with the software was it had weird copy protection. So stringent is the authentication that all my registered computers have become unregistered. So as a VIP early adopter of the software I was left hanging hi and dry by the developer of the software and left up a creek without a paddle. I had bought the BMPCC after solving the workflow surrounding transcodiung to Cineform RAW with RAW4PRO. Alex refused to assist me short of asking me to purchase a license. So I moved on to free ways of going from CDNG to Cineform RAW. They exist but are tedious. So basically, it occured to me that what I have always desired was the ability to shoot to Cineform raw internally. But alas not one manufacturer has embraced this in an affordable camera. Yes the Silicon Imaging cameras do along with Kinifinity but they are not cheap. But why no-one else, especially in light of the fact that Gopro Cineform SMPTE Standardized the GoPro CineForm Codec as the New Open Standard for Video Acquisition and Post Production. IMHO Cineform is the BEST CODEC period – even after all these years. Better than Prores to me – much more versatile. Once you have graded in Gopro Cineform Studio or Firstlight – your videos look like a movie. I kid you not, if you haven’t tried it you don’t know what you are missing out. My dream professional camera is a simple really. Camera that is a box with a sensor with good cooling and HDMI out for monitoring. Rudimentary settings buttons like the Pocket camera. 4K ( or higher) Micro four thirds camera sensor and mount. Shoot to Cineform RAW with up to ultra high bit depth, high speed frame rates and high bit rate if required. Very simple menu layout. No need for extravagance in camera as we can leave it all for post. White balance, iso, don’t really matter in raw. Just like the BMPCC. 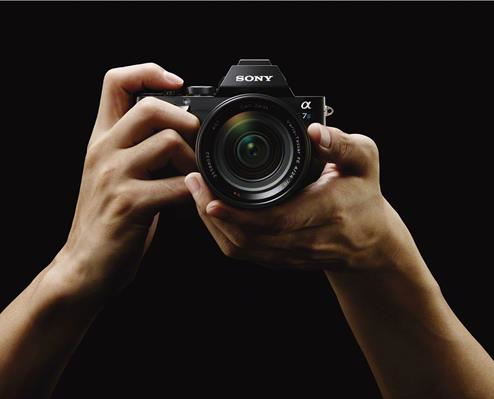 Size wise – GH4. There are many of us out there waiting for something like this. Sorry – we have been waiting for it for years!!!!! But nobody’s listening. Just give us a box with a nice modern clean sensor with a few buttons – a record button and let us shoot to Gopro Cineform in all its flavours. Release soon and shut up and take my money. This was a conversation I had on an online forum that was about the qualities of the newly announced Alpha mirrorless camera, the a7s from Sony compared to the Gh4. My rambling thoughts….. The aesthetic is one I love and this Sony has me really considering offloading a lot of my GH series stuff – I have never really loved the Panasonic thing despite owning them for years. Mind you I am a struggling musician who wishes to shoot his own stuff soon so my budget is limited somewhat and all these cameras are the most empowering we have seen in years. I own a GH1 and Gh2 but I always wish that that they had more of the refined Sony fidelity. I dunno – Pana has a look – kinda too solid and contrasty to me. Best example of this is the Af100 – never jived with me – all Panasonic cams have that similar vibe. It is not bad quality at all, I just never loved it, just a personal preference. I still like Blackmagic cams better than all of these offerings from a colour rendition point of view. But perhaps I may wish to have clinical and clean with superb low light at some point. Now I did cancel my Gh4 pre-order because the camera I have been waiting for has arrived. Does the GH4 trump the Sony in certain departments. Sure. But you also need to spend a bit of extra dough to get it to perform to its best. I am afraid to my eyes all the early GH4 1920 X 1080 vids seem to have a few aliasing issues ( including the out of camera unedited ones ) so the best seems to be to get a 4k recorder or use the internal 4 k which is not doing it for me as I will probably use a few 3D luts and in my early tests it isn’t so encouraging. So if we add a Shogun – bumps it up a bit then. Seeing as I already have a Nanoflash it partners perfectly with the Sony and I can use my Nikon lenses at native FOV without buying a Speedbooster. We live in good times indeed that we are haggling over less and less. I wish I could merge the features of both into one cam. As an aside in the comments on the blog, Den owns an F5 and he says it is on par as far as the rhetoric on dynamic range with S-log2 – probably not colour but that itself is impressive. Perhaps it is a baby F5 after all. As far as 8 bit is concerned, I think this is where a 10 bit intermediate codec may show a little usefulness. Cineform make a big deal about how banding is reduced in post by transcoding to the codec prior to editing. Suspect the same goes for Prores. The C100 and C300 family are considered overpriced by many but despite being predominantly 8 bit internally, I think they can produce startling colours so there is more to this than meets the eye. If the internal processing is from a much higher bit depth ( 14 bit in this case?) then it stands to reason that the mapping of the final bits will be quite accurate if the processing is done right. Sony make a big deal about reading every pixel in 1080p mode and 4k. Seems the GH4 may possibly not do so in 1080p mode – speculation on my part. All to say 8 bit is not perfect for acquisition but delivery in 8 bit underscores that you can do it right – that if you don’t need to mangle the snot out of your image, then you can produce exceptional ‘close to delivery’ images. Just about everything I watched on Vimeo shot on The Canon C series is 8 bit 4:2:0 but is fantastic. Looks amazing as the source pipeline is exceptional. 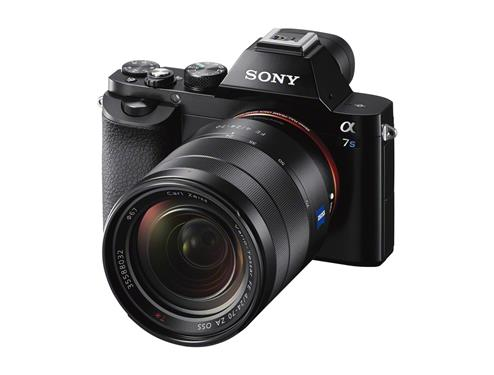 If the a7s pipeline is exceptional and all indications are that it is, then we may be a little surprised that the 10 bit thing isn’t as big an issue for lower downs like me who just wish to be in the game – especially if capture is from the hdmi port. Todays blog post is about an innovative company called Cinemartin based in Spain and I admire what they have achieved. It’s not often that I come across a product that I feel so strongly about that I blog about it. As I have made clear on my blog before, we live in exciting times. With Nebula in the world of audio creating extraordinary tones and affordable Cinema DNG in the world of Video we have reached a time when independents can produce quality that is technically on par with what professionals produce. The rest is all to do with skill and artistic vision. I am in the final throes of completing my second album and have turned my attention to Video. A few weeks ago I bought a Blackmagic Design Pocket Cinema Camera. It has been quite an eye opener. I never realised how good near uncompressed video can look. I have been shooting all my tests using the compressed Cinema DNG files that this little camera spits out and converted to Cineform RAW the files have beautiful colour rendition. Not a hint of the digital flatness that comes from other manufacturers. Don’t get me wrong, Blackmagic design have their fair share of issues with moiré, aliasing and quality control but when they get it right, the image is spectacular. I also use the BMPCC on my old, dated but trustworthy Shoot35 SGblade. I have done a few gigs with this combo and I always come away impressed how the blade adds a thickness to the digital captures I have made over the years. First with a Canon HFS11 and now with the BMPCC. I used to capture to a Nanoflash but the RAW files are superior in every way. Is it flawless, far from it but it sure puts out an image with tonnes of character. I like a rich colourful image that isn’t harsh or plastic looking in any way but that has enough resolution to hold up on a full HD home theatre TV. You see I am aiming for web distribution so it needs to look good for that and besides, I will be the face on camera and I don’t have a make up artist – so I have to make myself palatable he he he. So I have made a few tests along the way VIMEO PAGE check the most recent ones. Early tests are very promising and offer a myriad of tones hues and colours and I have made great headway with my workflow – but one thing remains. A codec to master with. Cineform grading in Gopro studio is incredible with the use of 3D luts but what happens when/if I ever wish to send my files to someone who works on a MAC and I need to burn the colours in but at high quality – say perhaps a colour grader? I thought about this the other day and realised that it is not simple to encode to Prores on a PC. Cineform is my codec of choice for editing but probably not for sharing material even thought it is cross platform – it seems that most of the post production whole world is MAC based and Prores rules. Final masters also need to be compressed with high quality algorithms to preserve fine detail. One way I know is to export out of Vegas using smart rendering back to Cineform. I have also tried uncompressed YUV and it is incredible. With Cineform no recompression occurs unless you add text, fx, dissolves etc. But my test master exports to really lossy codecs for distribution have been disappointing. I have always found my exports to Mp4 out of Sony Vegas 11 below Par. I have settled with Microsoft Expression encoder for the most part to do my master file encoding to Mp4. It just preserves so much more detail but it has reached end of life and offers few codecs output options. But is there one piece of software that can rule them all and give hardware encoders a real run? Having been a an active user on DVXuser for a few years now I came across an intriguing post about an encoder that could encode from just about any codec into a handful of industry standard codecs. It is a company called Cinemartin and the thread that caught my eye is here DVXuser thread about Cinemartin. To be honest I didn’t know what the fuss was about until I was faced with the dilemma and thought about it and dug deeper. You know how sometimes you just breeze past a news announcement or a forum post for weeks until you bother to click on it. But as I started to work with RAW files and desired to preserve the fidelity all the way through to mastering, I realised I needed a good encoder to replace Expression that could deal with multiple file inputs and outputs using high quality visually lossless compressed codecs. Enter Cinemartin Cinec 3X. The top tier product is capable of converting almost any codec into DPX, Prores – up to 4444, H264 up to H444 MP4, H265, Avid DNxHD, XDCAM HD50 and Quicktime Animation. Two Codecs stand out immediately – Prores on a PC!!!!! and H265. Apparently this is the next generation codec that can preserve quality in tiny file sizes. Check Andrew’s post about it here . It may just drive the uptake of 4K by keeping high quality video fairly light on resources while allowing high bit depths. This truly is a big deal for anyone wishing to spread their files without choking on bandwidth on uploads or downloads. I shall be selling my music and short films hopefully through my own website and also on Vimeo and cutting file sizes in half for similar quality as h264 is extra ordinary. So on the 2nd of April I proceeded to their site browsed around, checked some demo encodes and ordered the Pro version which worked out to about 199 Euros. The entry level was just a bit too lite for me but to be fair you won’t buy the pro version unless you wish to do this properly as it is a serious investment. As a Cineform Power user the omission of Cineform input in the entry level turned me off right away. I must at this point state that Cinec can convert directly from the Compressed DNG that the BMPCC produces into any target codecs but I do not wish to use a Davinci workflow and prefer to work with Cineform RAW video. A Cineform workflow has so many advantages such as the ability to use the files in any NLE while applying 3D luts and colour correction in realtime and a very straight forward learning curve. It is simply superb and sort of turns Speedgrade Onset into a fully fledged Speedgrade Suite ( with some exceptions ). After purchasing the product I had to wait for a few hours while the support guys got my license to me. Strangely, the trial version won’t accept Cineform and a few of the other high end codecs so I couldn’t really trial it as I would have liked. I suggest that the guys at Cinemartin review this as it is important that you have the chance to trial things before a solid purchase. Perhaps a way to allow the loading of files but with encodes having a watermark. There are a few ways to do it perhaps but I am no software guru. It would have saved a few gripes for me along the way. Never the less the license was sent to me by morning the next day ( I had ordered after hours ) and instructions were included with the download. I discovered that the download that I was given to download after passing the Paypal procedure is an old installer so I had to uninstall that version and install the new version which does not work without the license key. As a third party developer for Acustica Audio’s Nebula who has seen my work pirated I am pleased to say that the copy protection is not too intrusive and is the standard computer ID challenge and response. You send them your machine ID, Full name and e-mail address, agree to use the software on one computer ( unless you have a multiple license of course ) and they send you a longish code that you can copy and paste into the program. Once the registration is successful, the register button becomes greyed out. Here are some tutorials but in short – You select a file, ( drag and drop or using the open dialogue ) choose a destination codec preset and press encode. Hah. That’s it – wait a while and check your results. As far as tweaks to clips, there are a few basic adjsutments that one can make to gamma, brightness, contrast and saturation of clips. One of the coolest features is the ability to render using start in and out points. 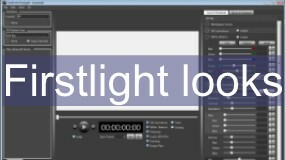 In other words you can shorten clips as you would in a NLE by dragging a couple of markers. So well thought out. The abilty to add a colour matrix is included and an A/B switching function as well. On the whole a solid piece of software that delivers in it’s chosen niche. Of course the most important feature is the batch processing of numerous files. The Gold version allows the use of up to 6 CPU cores when doing encoding. In practice however, I found the pro version used all my cores to the max when encoding to H264 even though it should have a 2 core limit so perhaps the encoder leverages CPU cores depending on certain codecs and whether the cores can be shut down or not. I don’t know, unless you encode video professionally and require high end output in double time with deeper features, the Pro version will suite most people. If however you own, RED wish to use DPX as an input then all bets are off. You may feel you need Prores to make your clients workflow easier. One of the reasons the Alexa camera is revered so much is the direct to edit friendly Prores. And this tiny piece of software may help RED a little easier to handle on the post side I suspect. Of course RED could come out with a Prores 4444 module( it has been resisted in the past ) or one can record to an off body Prores recorder like the convergent design offerings but the strength or RED is raw – strangely it is also it’s Achilles heel. In the interests of transparency, there are a few quirks here and there and I wish the software had a few deeper settings – at least the Pro version. It does need the ability to tweak the presets at least a little one feels. I understand where these guys are coming from and applaud them highly because the Mp4 that I produced was the best Mp4 I have ever made!!!!!! If you go ahead and download this short test clip from Vimeo – please login and download the original HD 1920 X 1080p file you will see what I mean. Now the file is using a deapth of field adaptor which adds the grain and it was so close to the original it was scary. Granted, one will never encode to such a high bit rate ( 7.5 MB/s ) but when one desires to preserve quality it is incredible. Perhaps great for rushes and client demos. I was using the h264 HQ preset which I assume uses a very high H264 profile and it shows. Very high bit rate that played quite efficiently on my workstation, the grain preserved perfectly and boy did it look incredible compared to the Sony Vegas AVC version. This allows for master quality deliverables in an MP4 container for efficiency. I haven’t tried out H265 yet but from what I have seen I am sure it will be even more amazing. I had previously attempted to use free x264 tools that are nothing but magnificent such as Handbrake and Staxrip but they can be overwhelming and a bit annoying to use with Cineform RAW. Get this file, download that codec, set this parameter ahhhh forget it. I am not a software techy- I just want to encode my file simply to great quality. It was refreshing to have one piece of software that just worked in a simple way. But despite that, although the simplicity of Cinec is welcome, I suspect that the ability to tweak a little deeper will be welcomed by some, myself included. I have to say that within hours of playing with the software I fell in love with it. I exchanged about 27 e-mails with the support guys trying to make suggestions as to how they could improve the software. There is no manual to reference as the software is so simple but I made many suggestions that I hope they may implement. Some minor things such as the addition of a pause or stop button. Deeper encoder settings in the Pro version, the ability to have job queues. This is because some files ( mainly lossy codecs ) need to be encoded to uncompressed first before being encoded to the destination format and this has to be done manually. I see no reason why a job queue preset could not handle that in the background. For example to go from Cineform RAW to H264 MP4 would require a few steps. Encode to Video RAW – with the ‘file is cineform’ box ticked. Delete file from program with delete button – import new file – untick Cineform box – encode to Mp4. It would be nice if the software handles this even if in the background. I admit that the times I would want to do this are slim but I can see some cases where it may be useful. Apparently one can convert from Cineform RAW directly into H265 in just one step but at the time of writing I did not have the facility to try this. I found a few bugs and anomalies as well with regards to Cineform RAW but they are looking at it as we speak. Audio and frame rate issues but nothing that cannot be sorted with updates. Most other codecs performed flawlessly. The developers seemed responsive and attentive to my suggestions and I have offered to become a beta tester for them as I really believe that this software is a must have for the next high resolution generation of cameras. They have agreed and will allow me to have access to their higher end software and may review it in time as compared to the Pro version I bought. I am not sure whether I wish to get a GH4 yet. I have pre-ordered one but am still on the fence as I really would love access to uncompressed 4k – not sure how feasible that is from a cost perspective. Anyhow – I made the suggestion to these guys to consider creating a super sampled HD version from the 4k 4:2:0 files and they may look at it. Not sure if it will give any benefit but we can only wait and see. I have made some tutorials to help people get their heads around editing with first light from Cineform and have also provided a few Free Luts ( Look files ) as well. Add real Film grain to your projects for FREE!!!!!!!!!!!! Here is a Five second long free Full HD AVI film grain overlay that I made the other day using some real film scans that I am using in my projects. It is in the Cineform Codec and you need to download the codec for Mac or PC from their website. Simply drop it into your NLE and use the OVERLAY transfer mode on your track and Voila. Instant film grain. I will have some 4K versions up soon as well. I have just had a baby daughter so life gets a little busy. Enjoy and let me know if you like them!!!! !